What's hidden in the latest NFL settlement approval? Federal judge Anita Brody granted preliminary approval to the revised, "uncapped," brain-damage lawsuit settlement, between the National Football League and more than 4,500 retired players on Monday. What does this mean? When Brody rejected the initial settlement proposal in January, she expressed concern that the deal's centerpiece -- a $765 million fund for NFL retirees suffering from certain neurological afflictions, including dementia, Parkinson's and amyotrophic lateral sclerosis (ALS) -- was too small to cover approximately 20,000 former players over a 65-year period. As with the original, rejected proposal, all of the above awards are subject to reductions -- in many cases, significant reductions -- based on offsets for age and career length. Former players with fewer than five years of NFL experience will see their awards reduced, some by as much as 95 percent. The same holds true for retirees over 45 -- the older players are when diagnosed with brain damage, the less money they'll receive. Beyond the award fund, the NFL also will spend a maximum of $75 million for a Baseline Assessment Program, which will: (a) give retired players neuropsychological and neurological exams to determine the type and extent of their brain damage, and (b) possibly provide counseling and prescription drug reimbursements to former players with moderate cognitive impairments. Are you a former NFL player worried about coming down with CTE? Do you suspect you already have CTE, that doctors will find microscopic, telltale tau protein tangles in your stained-and-dissected brain tissue following your death, the same way they found tangles in the brains of Mike Webster, Dave Duerson, Junior Seau and others? If you're alive and reading this today, guess what: You're out of luck, because the deal that Brody just preliminarily approved gives you and your loved ones nothing. Zip. Bupkus. Not one single damned dollar. Remember what Brody wrote about "bona fide compensable conditions?" Guess what: according to the specific language of the revised settlement, the qualifying diagnosis of "Death with CTE" requires retirees to have died and been diagnosed with the disease before the date of preliminary settlement approval, i.e., before July 7, 2014. If you die with CTE after that -- no matter if you commit suicide like Seau and Duerson or end up crazy and living in your truck and super-gluing your teeth in place like Webster; no matter how ravaged your brain looks to a neuropathologist in the cold light of a laboratory; no matter how much you or your family suffer; no matter how well connected said suffering is to a disease that the doctor who discovered it wanted to name "footballer's dementia" -- you don't qualify for an award. CTE is the disease at the heart of "League of Denial." The disease that made football brain damage a national issue, a public health concern, something that President Obama has weighed in on. Without it, neither the NFL concussion lawsuits nor the proposed settlements likely would exist. Yet this deal forecloses on each and every retiree who has yet to die and be diagnosed with CTE, as if there will never be another case. As if the medical experts who have found the disease in 33 of the 34 former football players' brains they've examined -- imagine that as a batting average! -- are running a cute but meaningless science-fair experiment. It's like settling a class-action asbestos lawsuit that cuts out future mesothelioma claims. As I've written before, there's a lot to dislike about this revised settlement, which outside of the lifted $765 million total award cap is mostly unchanged from its first iteration. The lack of CTE provisions is particularly objectionable. Downright unbelievable. Going from 1 to 10 on the WTF scale, it's a solid 15. … [under the proposed settlement] retired players will have to register for the Baseline Assessment Program within 180 days of a notice being posted on a special settlement website -- otherwise, they'll be deemed ineligible for baseline tests and monetary awards. Similarly, players older than age 43 must take their baseline exams within two years of the program's launch, while younger players must take the exams before their 45th birthday or within 10 years of the start of the program. After 10 years, no exams will be given -- and without an exam, it's nearly impossible to qualify for a financial award. Now imagine you're a retired player with cognitive issues -- memory problems, issues with punctuality, difficulty keeping appointments and staying on top of paperwork. Are unforgiving legal and procedural hoops and deadlines something you can really handle? When lawyers for players and the NFL submitted the initial settlement in January, they insisted that $765 million was adequate. How so? Medical experts, actuaries and economists had produced "thorough analyses" predicting (a) how many former football players are brain-damaged, (b) what the extent of that damage will be, and (c) how much that damage will cost under the terms of the settlement. Much to Brody's annoyance, the NFL and players' lawyers didn't share their analyses with the judge. This time around, attorneys for both sides still are expressing confidence that $765 million is enough, without or without a cap, yet they still haven't shown their math in any publicly available documents. This matters, even beyond the settlement itself. Football brain damage is a public health issue, both for the safety and well-being of our children and loved ones as well as the shared medical costs (private insurance and/or Medicare) of treating the afflicted. If the NFL and union lawyers know something about the incidence and prevalence of the sport's cognitive costs, they need to share it with the public. We have a need to know and a right to know, the same as with any other case of industrial pollution and public harm. Moreover, the settlement itself very likely forecloses any future legal discovery against the league -- which means that barring "League of Denial II," additional dogged investigative journalism or the deathbed confessions of former NFL commissioner Paul Tagliabue, the public will never fully understand what the league knew and when it knew it regarding brain damage. "The problem of the case is that this isn't about the NFL," says Alan Milstein, a New Jersey-based attorney and Temple University School of Law professor who specializes in bioethics and clinical trials litigation. "This is about the NCAA and high school football and junior high football and peewee football. And about parents understanding whether or not they should let their kid play football. We will never know that critical information about the seriousness of concussions because the NFL is buying peace, and they are also buying silence. That is what is really wrong with this situation." Speaking of buying silence, I recently wrote about a brain damage lawsuit filed in Missouri state court by former St. Louis receiver Roy Green against the Cardinals that could allow discovery against the NFL regardless of what happens with the proposed settlement. Now for some good news. The original version of the settlement indemnified the NCAA against concussion lawsuits -- like the ones it's already facing -- from former NFL players. Why? No one really knows. Whatever the reason, Brody was not amused. In her memo, Brody writes that the players' top lawyers filed an "unopposed" motion requesting preliminary approval. Not so. Last week -- probably as you were watching the U.S.-Belgium World Cup game, or packing up to enjoy the Fourth of July weekend -- a group of seven former players including Alan Faneca and Sean Morey who previously attempted to intervene in settlement negotiations filed an objection to the deal. Among their concerns? * The aforementioned CTE provisions. * Settlement language that narrowly defines and freezes in writing the types of neurological diseases and brain damage presentations that qualify for monetary awards, even though scientific and medical understanding of football-induced brain damage is rapidly evolving and much remains currently unknown. * A Baseline Assessment Program that screens for cognitive deficits and signs of dementia, but only offers monetary awards for specific neurodegenerative diseases -- leaving players who suffer from memory loss, headaches, chronic pain, depression, impulsivity, diminished executive function, speech impairment, attention deficits and other ailments that have been linked to repetitive brain injury but do not rise to the level of Parkinson's or ALS receiving nothing more than counseling and prescription drug coverage, even though their conditions can drastically affect their quality of life and ability to work. * Players not receiving credited seasons for playing in NFL Europe, even though the settlement prevents NFL Europe players from suing the league. 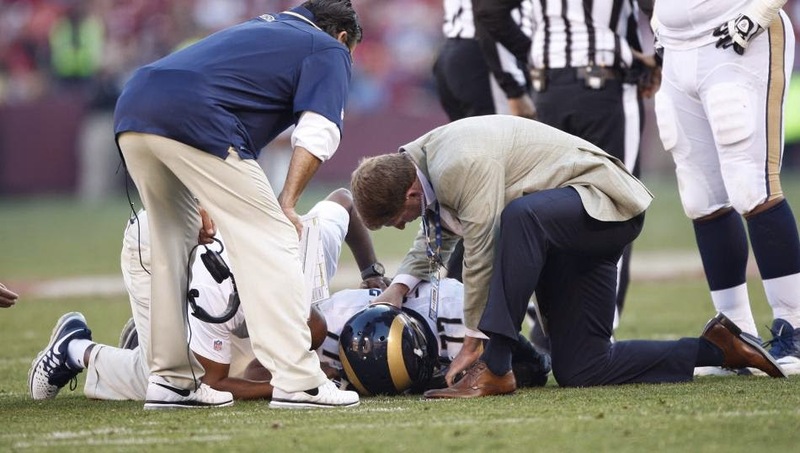 * Provisions that reduce monetary awards by 75 percent for any former player who has suffered a single non-football related traumatic brain injury or stroke -- never mind that (a) there is no scientific reason to presume that a single non-football brain injury accounts for three-quarters of a player's afflictions; (b) NFL team doctors increased former players' risk of stroke (and likely brain injury) by administering the painkilling drug Toradol. * A separate $112.5 million payout for top players' lawyers, who conducted no discovery against the NFL in the case -- raising questions about said attorneys' ability to enter "into the settlement negotiations with much more than an uneducated guess as to the merits of the case and the propriety and fair value of a settlement." "The Revised Settlement is a great deal -- for the NFL and Class Counsel," the objection reads. "It is a lousy deal for the retired players, whose rights have been bargained away without adequate or independent representation." The question facing NFL retirees is simple: Given the deal's benefits and shortcomings, do they agree?